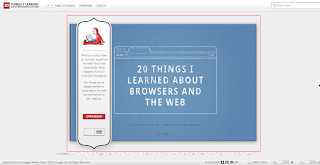 captainvp: How do browsers and the web work? This is a pretty neat HTML5 site by the Google Chrome team that explains the web and browser basics in a very simple manner. It demystifies some old terminology as well as the newer buzzwords like HTML5, Web Apps etc. Recommended for a speed read even if you are tech aware. Also love the site from a design point of view.